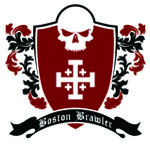 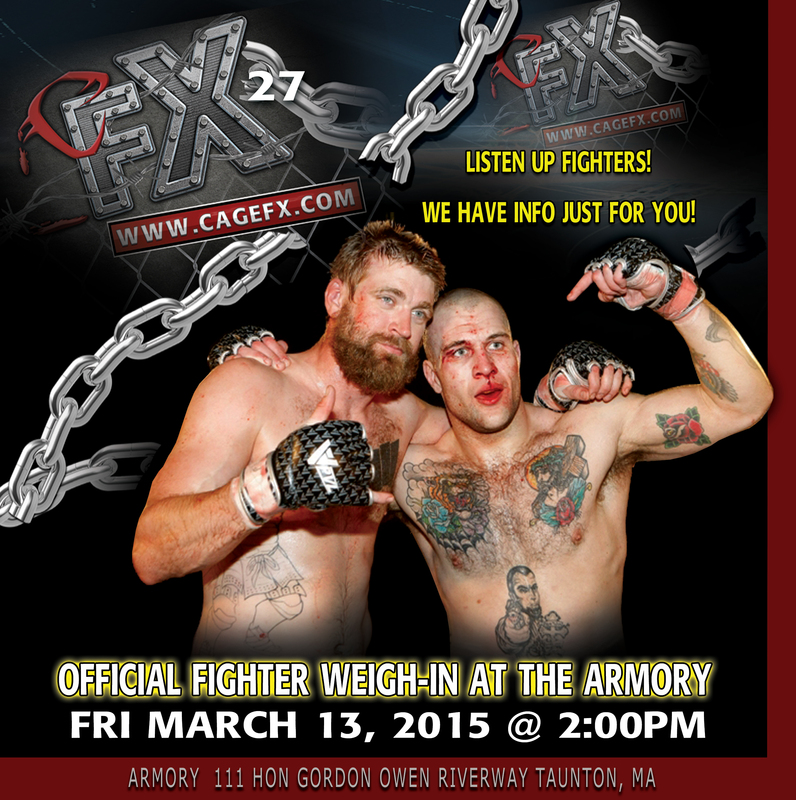 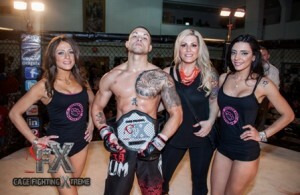 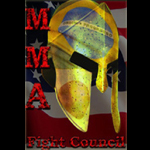 CFX 27 official fighter weigh-ins are scheduled for Friday March 13, 2015 at the Armory 111 Hon Gordon Owen River way Taunton, MA. 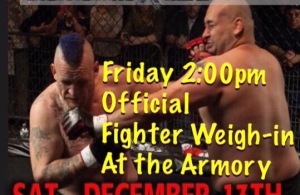 Weigh-ins will start at 2:00pm sharp. Fighter friends, fans and families are all welcome to join. 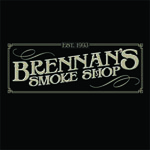 We are looking forward to seeing everyone.